Using WP Fusion and LearnDash, you can automatically add students to your CRM of choice when they register on your site. You can also restrict access to course content, apply tags based on progress, and use tags as automated triggers for course enrollment. 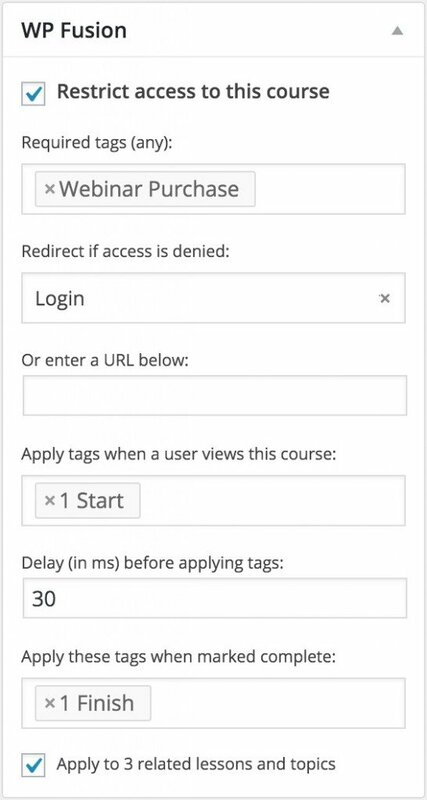 You can restrict access to Courses, Lessons, and Topics based on a user’s CRM tags, and redirect them to another page (like a sales page) if they don’t have the required tags. You can also apply tags to a user when they’ve begun a course, lesson, or topic, and likewise when it has been marked complete. See the screenshot on the right for an example of the options WP Fusion offers you when configuring a LearnDash course. You can “link” a tag in your CRM with a LearnDash course. When this tag is applied, the user will automatically be enrolled in the course. If the tag is removed, the user will be un-enrolled. Note: If you use an auto-enrollment tag, you should set the course price type to “Closed” to prevent users from getting automatically enrolled when they register. It’s also not necessary to use “Restrict access to this course” if the course type is Closed. 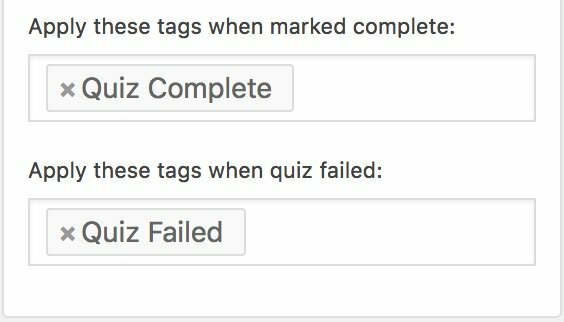 WP Fusion also allows you to track LearnDash quiz engagement, by applying tags when a quiz is passed or failed. See the screenshot at right for an example of the options. WP Fusion also supports linking a tag with a LearnDash Group. When this tag is applied, the user will automatically be added to the group. If the tag is removed, the user will be removed from the group.